Change is a horrifying, inevitable part of life. People are born, people die, the world moves on regardless of whether you want it to or not. Humans take what they are comfortable with for granted, which makes sudden change devastatingly difficult to deal with. Perspectives are forced to shift as settings previously considered unthinkable now become a stark, unwelcoming reality. 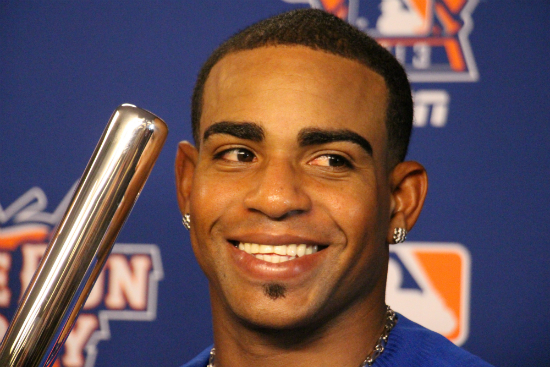 This morning, our hero and namesake Yoenis Cespedes was traded from the Oakland Athletics to the Boston Red Sox. Most importantly, Yoenis is still healthy, safe, and making boatloads of cash. He is going to love the Green Monster and looks wonderful in turtlenecks. Yoenis Cespedes is going to have a bit of an adjustment period, but he is going to be okay. We are also going to be okay. First things first: we aren’t changing the name. “Cespedes Family Barbecue” is a moniker completely independent of any Major League Baseball organization. The 20 minute video of him working out, dancing with his family, and roasting a gigantic pig over an open fire is, and always will be, the most enlightening and life-changing video on the internet. Take a deep breath; the BBQ lives on. For those of you less familiar with what we do, we are not, and have never been, an Oakland-centric blog. We enjoy watching the A’s and appreciate the way they operate their fan-interaction and public relations, but we are not in any way A’s fans. On that same subject, we are not going to, in any way, become a Boston-centric blog. We will continue doing exactly what we’ve done for the last year: provide you guys with free, mediocre, baseball-related humor. It’s just the colors around the words that might be a little different. Yoenis had an amazing few years in Oakland. He shot dingers to the moon and pegged lasers to the plate. He single-handedly captivated an entire metropolitan area with his manicured eyebrows and charming Cuban smile. It’s time for Yoenis to tackle a new, more Bostonian challenge. For the BBQ, business continues as usual. Goodbye Oakland. You were a fabulous host to our hero. You treated him with respect and we thank you for that with all of our hearts, minds, eyebrows, and biceps. Watch with your sound on. Watch until the end. Watch and enjoy. About six months ago, I wrote a piece for Michael Clair’s annual blogathon to raise money for Doctors Without Borders titled “25 Greatest Barry Bonds Facts”. To this day, it remains my favorite thing I’ve written, and it’s a collection of statistical absurdities that I’m very proud of. Today is Barry Lamar Bonds’ 50th birthday. In honor of this special day, I’ve updated all the statistics in my original list and brought it back here to CFBBQ. As many of you know, we here at the BBQ absolutely love everything that Bonds did for baseball. He is quite clearly the greatest hitter in the history of the game, and still remains remarkably under-appreciated a mere seven years after his final season with the Giants. I’d like to think I’ve played a tiny, tiny part in the slow progression towards a full-blown mainstream appreciation for the incredible things that Bonds did on the baseball field. There have been sporadic “Barry Bonds Crazy Fun Facts” posts over the years, and I’ve thoroughly enjoyed each and every one of them. Barry’s birthday has already spawned a few more of these wonderful collections earlier today, most notably Tim Marchman’s over at Deadspin. Certain Bonds facts resonate more with certain people, for whatever reasons. These 25 have remained my favorite, but there is a decent chance I’ll have 25 new favorites by this time next year. The career of Barry Bonds is an infinite gold mine of mind-blowing statistical miracles; there’s a favorite Bonds fact for each and every one of us. Without further ado, here they are. My 25 favorite Barry Bonds facts. …and it was all in one game. June 20th, 2000. In his first plate appearance against the then 20-YEAR-OLD Ankiel, Bonds worked Ankiel to a full count before striking out swinging. In his second plate appearance, Ankiel struck him out swinging on three pitches. In his third and final plate appearance against, again, RICK ANKIEL, Barry Bonds struck out looking on three pitches. They would never face each other again. Rick Ankiel is one of two pitchers to have faced Barry Bonds four times or less and strike him out three times. The other one is Bartolo Colon. 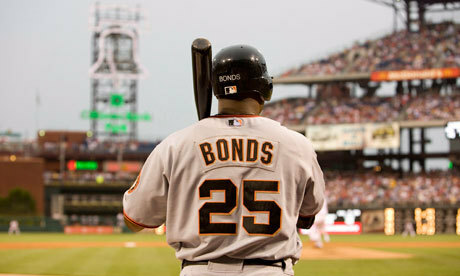 Bonds also only faced Bartolo for one game; June 12th, 2003 against the White Sox. First AB: strikeout swinging. Second AB: strikeout swinging. Third AB: strikeout swinging. Fourth AB: home run to take the lead in the top of the ninth inning. 24. Craig Biggio drove in 1,175 runs in his 20 year career. Barry Bonds’ home runs alone drove in 1,174 runs. It’s almost like Barry Bonds hit a lot of home runs or something. Welcome to Barbecast 42! As you can see, there are two podcasts up above. One is the Diet, and one is the FULL BARBECAST. They are both available for download on iTunes. If you don’t know what the Diet Barbecast is, click here for more info. We’ve got two special guests this week (Note: you’ll only hear the first guest on this week’s Diet Barbecast). 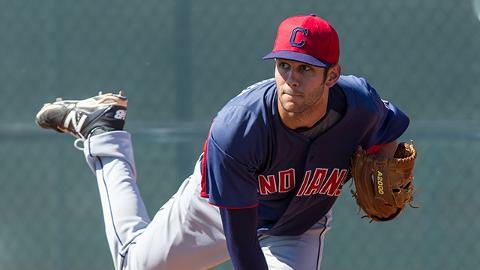 First (at 19:33), we talked to Rick Giolito (father of Nationals prospect Lucas) about the Brady Aiken situation and his experience being in a similar situation when Lucas was drafted after getting hurt. Rick also talked about Lucas’ progression in his first season of pro ball and what we can expect from him going forward. Next (52:50), we talked to the mysteriously spectacular Tepid Participation. You may know Tepid, or, “Michael”, as the guy on Twitter who loves to tweet about Rangers prospects, and that’s cause HE KNOWS ALL DA RANGERS PROSPECTS. We talked to Tepid about a few Rangers prospects, focusing mostly on recent Futures Game superstar Joey Gallo and what makes him so special. Hey! We’ve got some news. If you listen to our podcast, The Barbecast, on a regular basis, then this news applies to you. If you don’t listen to the Barbecast on a regular basis, this news might apply to you too! But no promises. Here’s the deal: our podcast is long. Sometimes it’s two hours! Sometimes it’s three hours! We know it’s long, and we like it that way. Longer podcasts like Up and In are what inspired us to start podcasting in the first place. Our current format allows us to talk more naturally and have interviews that last 30-45 minutes, along with our other usual segments. Fortunately, our current format isn’t really going to change. Even more fortunately, we’re gonna have a shorter version of our podcast available too; a Diet Barbecast, if you will. The Diet Barbecast will feature the best of the full Barbecast, and should be around 30 minutes long. For now, this abbreviated podcast will be found on the same iTunes page and will be labeled accordingly. The full Barbecast will remain available on iTunes for those that have the attention span and interest in us rambling for a full two hours. Both the Diet and the full Barbecast will be available to be streamed here on the site on each podcast post. Click here for our very first Diet Barbecast!